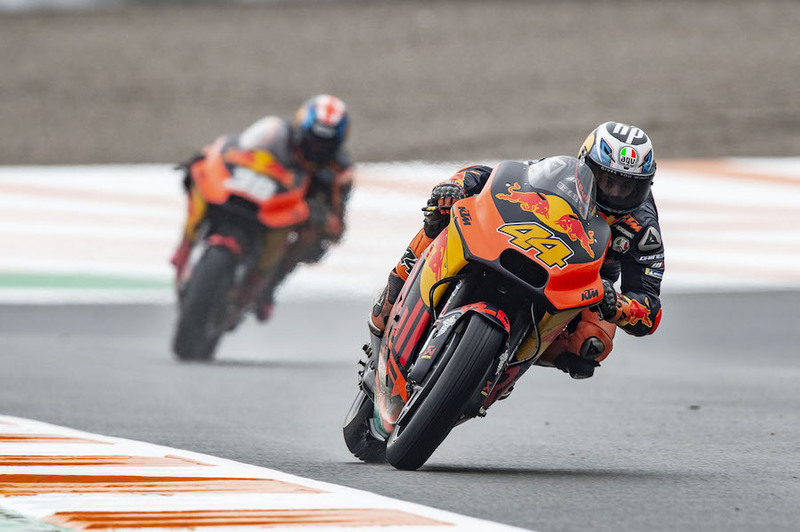 KTM’s development plans this season had been so frequently thwarted by injury that obtaining Johann Zarco’s signature for next year was a most welcome show of faith, and doubling up on numbers should avoid the same problems in 2019. So said motorsport chief Pit Beirer, speaking at the team managers’ briefing on the eve of qualifying for the last race of the year, referring to an apparent slowing of development in the Austrian marque’s second season. “We had so many new parts, and we couldn’t bring them,” he said. This was because of injury to full-time tester Mika Kallio at the Sachsenring before the summer break, keeping him out of the saddle for the rest of the year, and repeated injuries to Pol Espargaro meant he missed five races, one way or another. “So we look forward to the next step, with more riders – with Dani Pedrosa as well testing with Kallio. “We need to see this as a long term project, and I think we have proved in the first two years we are very serious,” he said.